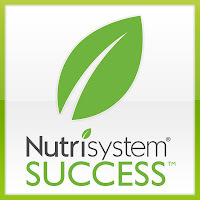 I have realized, learned and come to terms with several things since starting Nutrisystem. I know that I am stronger and more determined that I ever thought possible. I'm proving to myself each week that I can do this and I will reach my goal! As part of my weight loss journey, I have decided to toss out some of my negative sentiments, and help hold myself accountable. Stop feeling ashamed of my body and how it looks. After all, I've had two beautiful children, both via c-section and I know what that did to my body. Would I do it again? Absolutely! Stop caring about what other people think about the way my body looks. We are ALL beautiful in our own unique and individual ways. Stop hiding my body in the dark from my wonderful husband. He loves me just the way I am. Stop thinking that it isn't possible to lose the belly jiggle. The Biggest Loser is proof that it can be done. Stop getting angry when the scale doesn't show a lower number. Scales are EVIL, how I feel is most important. Stop letting the scale dictate my success. A smaller waist is worth more than a smaller number on the scale. Stop beating myself up by feeling guilty if I slip a little. I'm human and it happens. Believe in myself, I CAN do this and I'm worth it! Take it one step and one day at a time. If I fall, pick myself back up. Learn from my mistakes. That's what life and change is all about! That brings my total weight loss to 33.4 pounds! If you've been wanting a great program that helps you lose weight, NOW is the time to join because Nutrisystem is 40% off! In addition, I can send you a $30 discount good towards your first order. If you're interested in ordering, send me an e-mail and I'll get you a $30 coupon to get you started on your weight loss journey! You are doing amazing! Those are such wonderful things to realize, too! You are such an inspiration, keep it up! Those are great resolutions and congrats on another 1 lb loss. You really are inspiring!! I agree with Tesa, those really are great resolutions. And, really, everyone slips up with food whether they're trying to loose weight, trying to eat healthier, etc. You're doing great! 33 lbs is awesome! Oh my gosh, that is fantastic! You are doing great!! I too am working on getting fit and losing weight! You have really done so well on this diet, I am so happy for you! I just started a new eating plan yesterday and I am thinking of your progress as my inspiration! Number two is not only true, but so important to remember!! Way to go and those are such important things to remember! You've done a great job so far! Keep up the fab work on your weight loss! 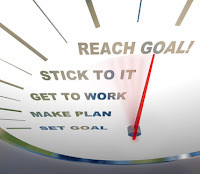 You will meet that goal! I just KNOW it! Congrats on the 33 pounds so far!! Keep up the good work! You're doing fantastic! !